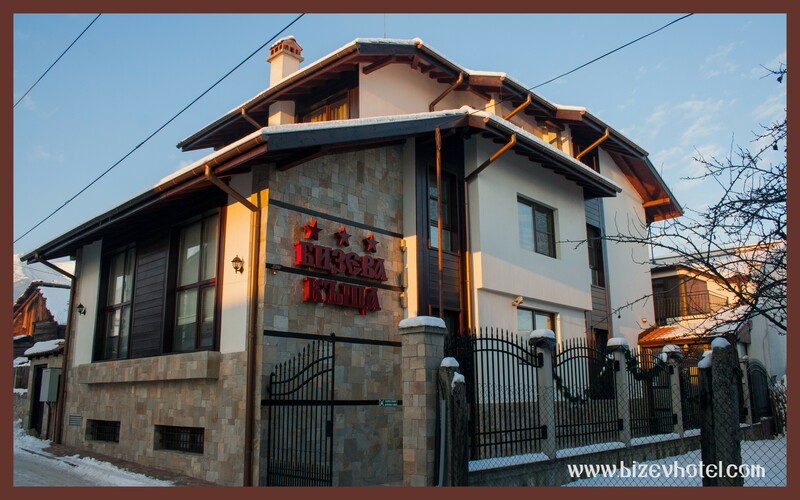 Bizev Hotel is located on a quiet street in the old part of Bansko. The hotel architecture is in a style which is typical for Bansko. What used to be once the home of Elena Bizeva is now Bizev Hotel, welcoming its guests with its wooden eaves and wrought iron ornaments. Spacious reception and lobby bar welcome you for a drink and a pleasant conversation. Stylish stairways take you to mezzanines, apartment, double and triple rooms with beautiful views of the mountain and its majestic peaks, and the old town of Bansko. In the winter the snowy slopes of the Pirin Mountain are awaiting lovers of skiing, snowboarding and other winter sports. Hiking and bike-riding are among the activities which allow you to enjoy the beauty of the mountain during the rest of the year. In the hotel you can enjoy a game of chess or pool with friends, or a cup of aromatic tea in our colourful garden. The hotel also offers professional massages and complimentary sauna to help relax your body and mind. In the restaurant you can enjoy traditional homemade breakfast and choose from our a la carte menu for dinner. The hotel offers free shuttle bus transfers to the main station of the Gondola Lift. Wi-fi connectivity and TV are available throughout the whole year. 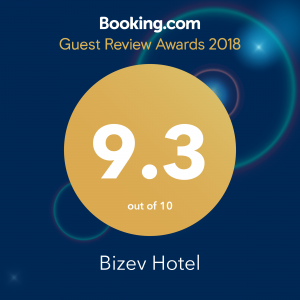 Bizev Hotel invites you for a truly enjoyable experience.